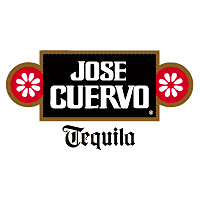 As part of Jose Cuervo’s long history of supporting the arts and Latin culture, Jose Cuervo Tradicional – Mexico’s No. 1 super-premium tequila and the same recipe used in Cuervo’s original tequila in 1795 — is launching the Tradicional Mural Project 2012. As part of this nationwide platform (where legal), Jose Cuervo Tradicional is inviting artists over the age of 21 to compete for the opportunity to win $15,000 by submitting an original mural painting inspired by their passion for Latin culture and the Jose Cuervo Tradicional bottle. Artists can participate in the Jose Cuervo Tradicional Mural Project contest by submitting a 150-word statement describing how they are inspired by Hispanic heritage, along with their professional artwork portfolio via http://nalac.submittable.com/submit/13194/submission or TheTradMuralProject@MKTG.com. The application period is open from now through 11:59 p.m. (ET) on Friday, Aug. 31, 2012. The finalists will be announced on Sept. 13 in Los Angeles. The Jose CuervoTradicional Mural Project 2012 finalists will work on their murals between the months of September and October. Completed murals will be unveiled at a special event in Chicago on Nov. 8, 2012. People 21 years of age or older can visit Jose Cuervo Tradicional’s Facebook page www.Facebook.com/LosAmigosDeJose.